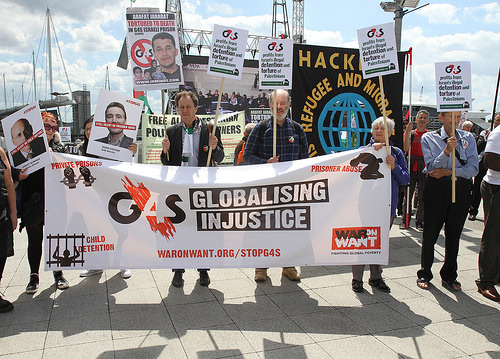 The G4S AGM, on 5 June 2014, passed with predictable controversy. More than 10 protesting G4S shareholders and proxies were forcibly removed, in some instances by being dragged across the floor by their hands, and the shareholder questions were overwhelmingly focussed on G4S’ actions in the Occupied Palestinian Territories (OPT), HMP Oakwood and other prisons and detention facilities which G4S are involved in globally. When the time came for shareholders and proxies to pose questions to the Board, 26 questions were asked, of which 13 related to the OPT, significantly overshadowing the five or so questions asked on corporate issues. This review, and particularly the independence and objectivity of its authors, was heavily challenged by shareholders and proxies. Mr Almanza had repeatedly emphasised that it was important to G4S that the authors were “independent, credible experts.” But several shareholders and proxies referred to, and quoted, sections of the review which tested this. 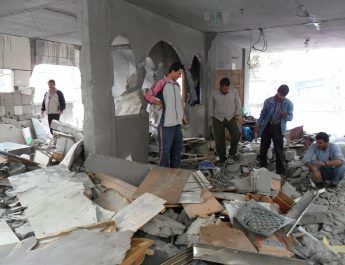 In particular, they referred to sections which seemed to imply that Palestinians themselves are responsible for violations of their human rights (in a section entitled: ‘Palestinian Responsibility for Human Rights Risks’, p 12) and that the campaign against G4S is a “key part of a wider strategy by the Palestinian solidarity movement to delegitimize the State of Israel” (p. 2). Seemingly undermining the value of his earlier reliance on the review’s findings to absolve G4S of any responsibility for, or complicity in, human rights violations, Mr Almanza ultimately conceded that G4S does not necessarily share the view of the independent experts that it instructs. 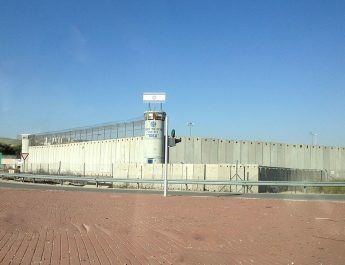 One of the key issues that shareholders and proxies wanted addressed at the meeting was whether G4S would stand by its 2011 and 2012 commitments to withdraw from contracts involving servicing security equipment at military checkpoints, a prison and a police station in the West Bank by 2015. Positively, G4S did confirm that it would not be renewing these contracts. However, rather than standing by its commitment to do so by 2015, Mr Almanza instead referred to three relevant contracts, which fall away at the end of 2014, 2015 and 2017, respectively. Consequently, it appears that it could now be three more years (in addition to any warranty periods, as Mr Almanza made sure to emphasise) until G4S ceases to be involved in providing services to prisons and checkpoints in the OPT, rather than one more year, in line with the 2011/2012 commitments. Mr Almanza added, in a brief comment, that could almost have gone unnoticed, that the contract that expires in 2014, the so called ‘Framework Agreement’, applies not only to prison facilities in the West Bank but to “all facilities.” In the face of strong evidence which suggests that child Palestinian prisoners are being held within prisons in Israel, a number of shareholders and proxies pushed for more information. When expressly asked whether by ‘all facilities’ Mr Almanza meant facilities in the West Bank and Israel, Mr Almanza would only repeat that the relevant contract applied to ‘all facilities’; he provided no further details and so the extent of G4S’ commitment remains unclear. Further, G4S remained silent on its continuing provision of services to businesses in illegal Israeli settlements in the West Bank. Campaign pressure is therefore continuing. And it is achieving significant successes. The G4S AGM has, again, introduced more questions than answers. There is now a pressing need to obtain clear and specific commitments from G4S on the timing of its exit from contracts in the West Bank, and the details of its exit from all Israeli prison contracts. Not only will G4S have to make satisfactory and timely commitments, but it will also have to fully realise them. Until this has been done, the international pressure on G4S will need to continue.